Cawl is a traditional Welsh stew that could not be simpler to make so give it a go. It is made with whatever meat (or meats) and seasonal vegetables were available so there is room for experimentation! The lamb could also be substituted with beef or a ham joint if you prefer. This is a perfect opportunity to try crumbly Caerphilly cheese if you have not had it before so dig in! 1. Trim the meat and cut into large chunks. Add to large heavy based pan, top up with plenty of water and bring to a boil. As the meat comes to the boil you will see residue that needs to be skimmed off the top. 2. Next in goes the barley, carrot, onion and swede; bring back to the boil and add a pinch of salt. Bundle together the thyme and bay leaves and drop these in alongside the peppercorns and simmer for 2 hours. 3. When the stew has been simmering for a couple of hours pop in the potatoes and simmer for 20 minutes followed by the leeks which need to be cooked for 5- 10 minutes until tender. Serve in deep, warmed bowls with a good hunk of Caerphilly cheese and fresh bread. 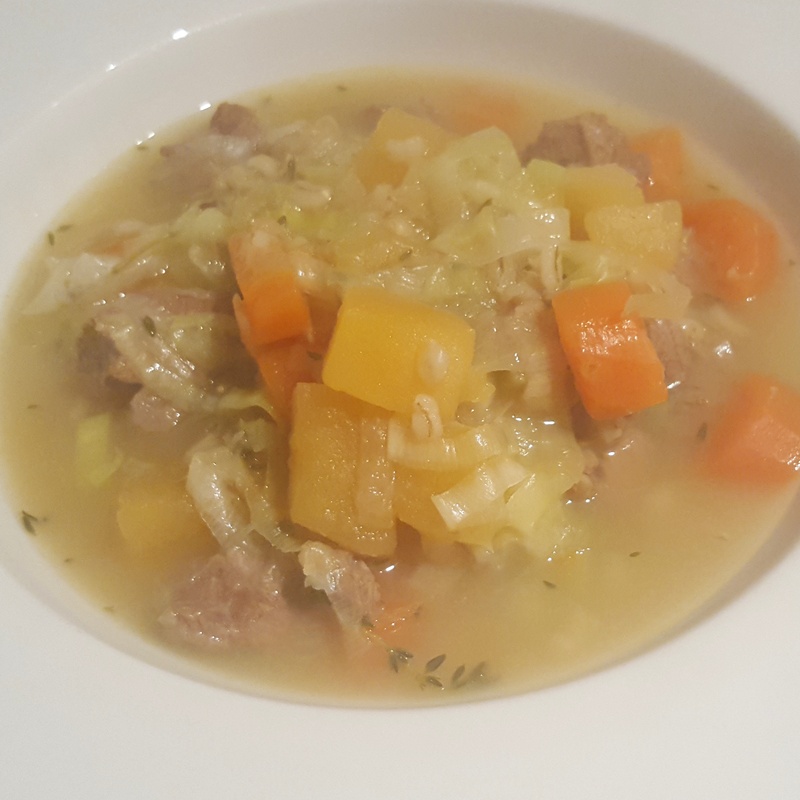 This entry was posted in Recipes and tagged Caerphilly, cawl, Cheese, lamb, lamb stew, onion, pearl barley, potato, stock, swede, thyme, Welsh cawl by sotiris14. Bookmark the permalink.